I wonder if the magnet would hold the phone with the plate stuck to the inside of the case and maybe a small peice of tape to cover the plate so the metal plate doesn't rub and scratch the phone. Lol just saw your posts @Oggyboy @elmo41683 I guess I should finish reading before I comment. Looks great, thank you for the review. I am always afraid these types of car mounts would not support my phone. Does it work well with the big iPhone 8+? Thank you for this great and long review. Seems to be an interesting product. Very nice review! I have this too but it doesn’t stick to my car’s dashboard for some reason due to the felt like material perhaps..
Now that I moved to where its hotter, I'm going to have to find a different mount. I was driving and it was about 90 out when my phone fell along with the mount. The sticky tape couldnt hold up to the heat and ripped off the dash with the weight of my phone. Its a nice mount and looks great but within 3 months the weight of the phone and the sun caused the sticker to weaken and start sagging the phone on the mount to the point it became useless and had to remove it from the dash. 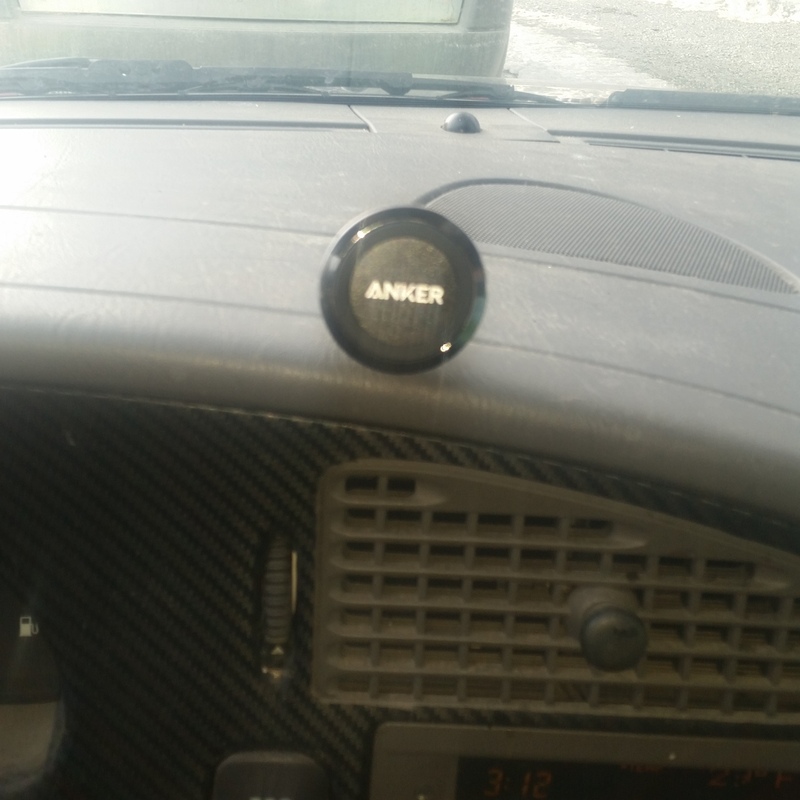 Anker or not these mounts don't last, a new one I got with a vent mount has been going strong. You could always use J-B Weld but that is a very permanent solution. A less permanent solution would be modifying the mount with a neodymium magnet and another neodymium magnet behind the dash. It would take some skill with a dremel and you would have to get behind the dash to place the second neodymium magnet but it's doable. Sorry to resurrect this thread but it wasn't immediately clear if it addresses two questions I had for it. Any owner experiences of the dashboard magnetic mount would be immensely appreciated. Specifically I am using a Samung Note 9 but I suspect the wireless charging and NFC components are probably the same as in a Samsung S8/S9. Thanks @elmo41683. Are you referring to the NFC function or the wireless charging? The wireless charging, I never had it interfere with NFC regardless where it was placed.